IN THE AFTERMATH OF HURRICANE KATRINA, artist Jana Napoli began roaming the streets of New Orleans collecting dresser drawers left on curbsides in front of the remains of abandoned houses. 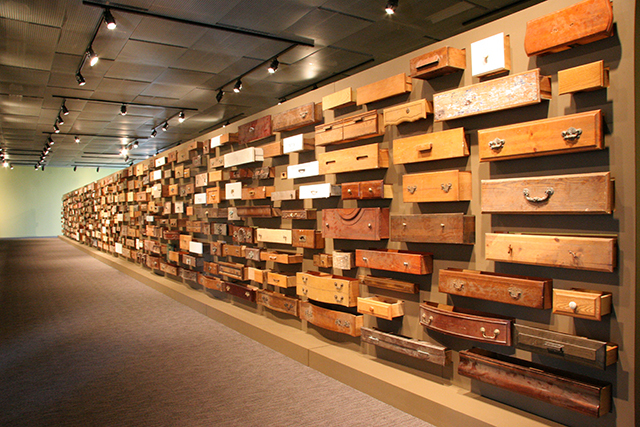 In collaboration with Whirlwind Creative, these drawers found their way into a symbolic wall (a large community dresser) memorializing the tragedy of loss and separation. On the one-year anniversary, Whirlwind assisted Ms. Napoli in bringing the dresser drawers to the Liberty Street Bridge overlooking Ground Zero. 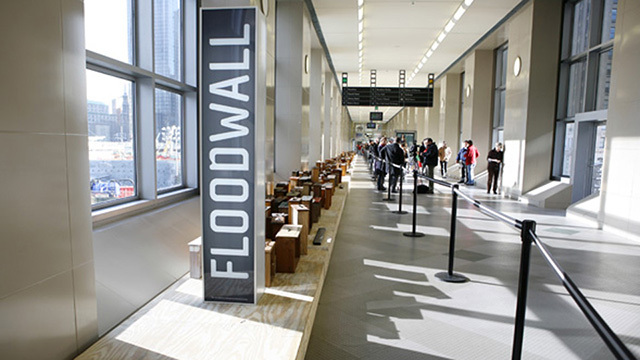 On the second anniversary the installation went back to Louisiana for an exhibition at the Louisiana State Museum in Baton Rouge, where Whirlwind produced a catalog for the exhibit. 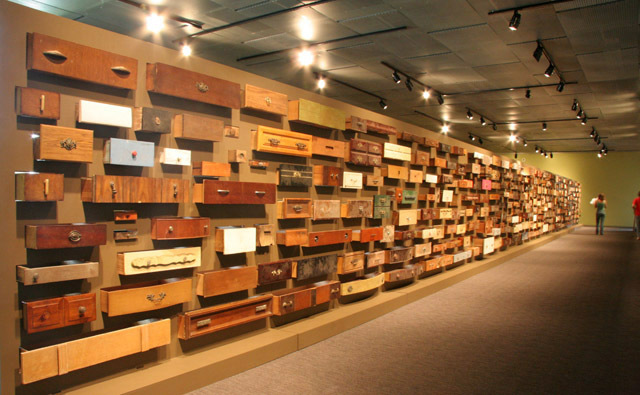 After traveling on to Bremerhaven and Berlin, Germany and Warsaw, Poland, the drawers returned to New Orleans in December 2011, where they were ceremoniously burned along the mighty Mississippi with the City of New Orleans as a backdrop. Watch “After the Storm”, a video commemorating the work of photographer David Burnette during Hurricane Katrina.